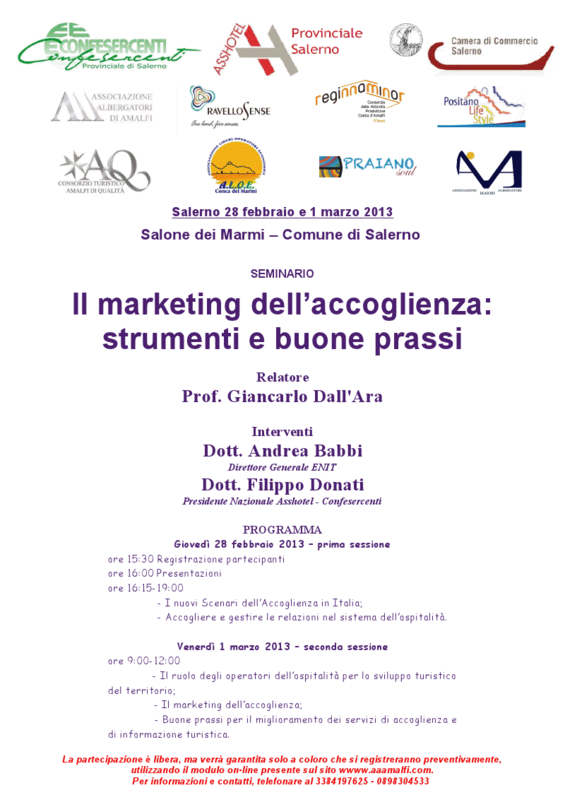 The Amalfi Hotel Managers’Association recently came to Salerno with one of its training meetings. President Gennaro Pisacane has a strong wish to promote a local culture of welcome and hospitality. I would never have imagined that attending a seminar could enrich me so much. 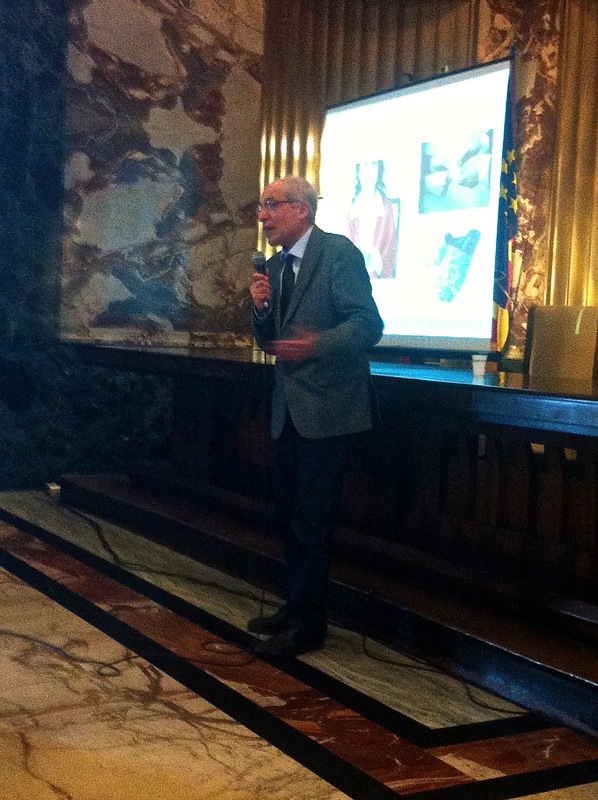 Professor Giancarlo Dall’Ara spoke about tourist innovative management, based on the visitors’ demands and needs. The first of which is to find a friendly atmosphere. At the heart of hospitality there are the people: it’s important to listen to the guests and talk to them, to be authentic, transparent and to create a relationship that is on equal footing. This can be achieved only by giving something of ourselves, our time and our skills. The hospitality can’t be static anymore but must become dynamic and up-to-date. It must concern everybody, not just the hotel managers and the tourism service workers, but also the residents. Experiencing our territory to the full and transmitting it to others is the best way to make our hospitality unique and special.